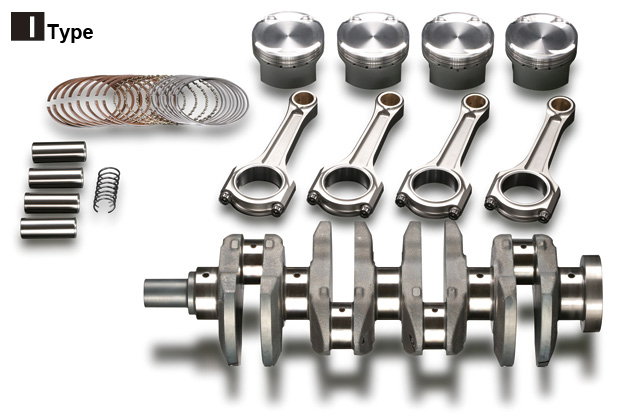 Strengthened chrome molly I section connecting-rods are included for turbo engine. This product will be discontinued. *2:The compression ratio given above are only to be taken as a guide, measurements are required. Cylinder head combustion chamber may need a boring modification to gain sufficient clearance. Cylinder skirt of the block may need a modification to gain sufficient clearance.